It is no news when we say that traffic in San Pedro is quite busy and work on the island compares to the city’s traffic department. 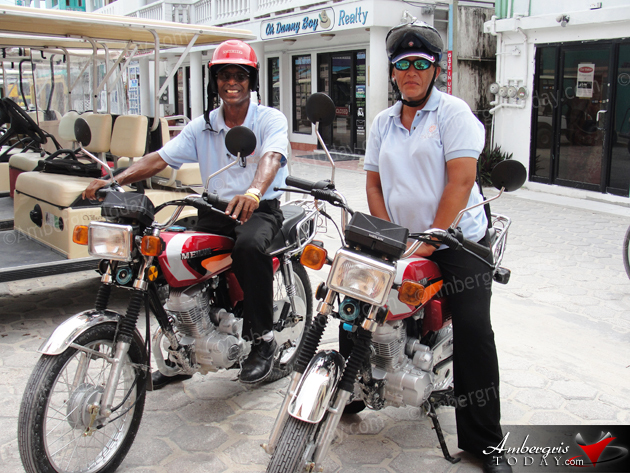 In keeping with the island’s traffic safety earlier this year, the San Pedro Town Council hired two new traffic wardens, Ms. Felipa Carillo and Mr. Freddie Gonzalez Sr.; they join Mr. Claudio Azueta and Mr. Immer Chi in keeping a safe traffic flow and control. 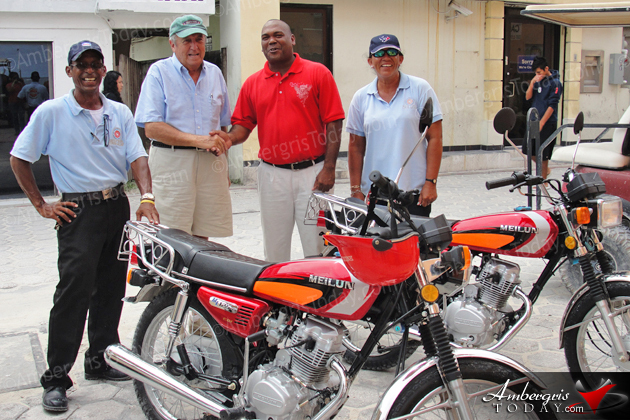 On Tuesday, June 19, 2012, the Traffic Department received two Meilun Motorcycles as a kind donation from businessman Mr. Corey McDermott. The two motorcycles will be used by Mr. Gonzalez and Ms. Carillo to assist in traffic patrols. 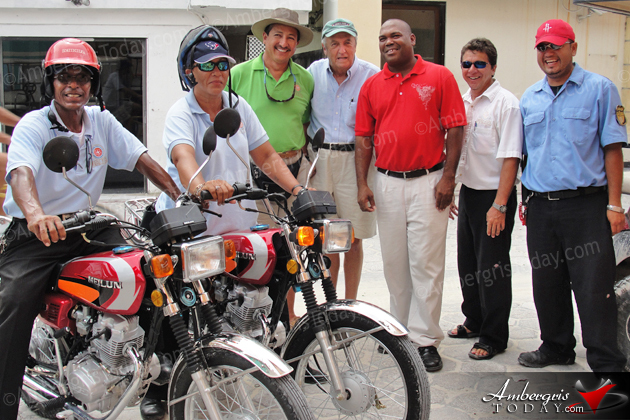 Present at the handing of the motorcycles to the traffic department were Mayor Daniel Guerrero, Councilor Kenrick Brackett, Mr. Corey McDermott, Chris Nuñez Manager of the Traffic Department and traffic wardens, Claudio Azueta, Freddie Gonzalez Sr. and Ms. Felipa Carillo.